A fresh fragrant arrangement hand tied with British grown stocks, white freesia, deep water roses and santini chrysanthemums finished with a beautiful painted butterfly. The bouquet truly represents the sweet scents experienced walking through a Summer park. 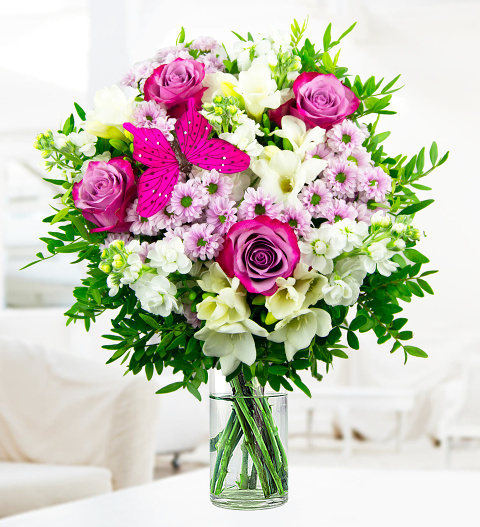 This arrangement is simply perfect for sending the very best of wishes, sure sure to make maximum smiles.